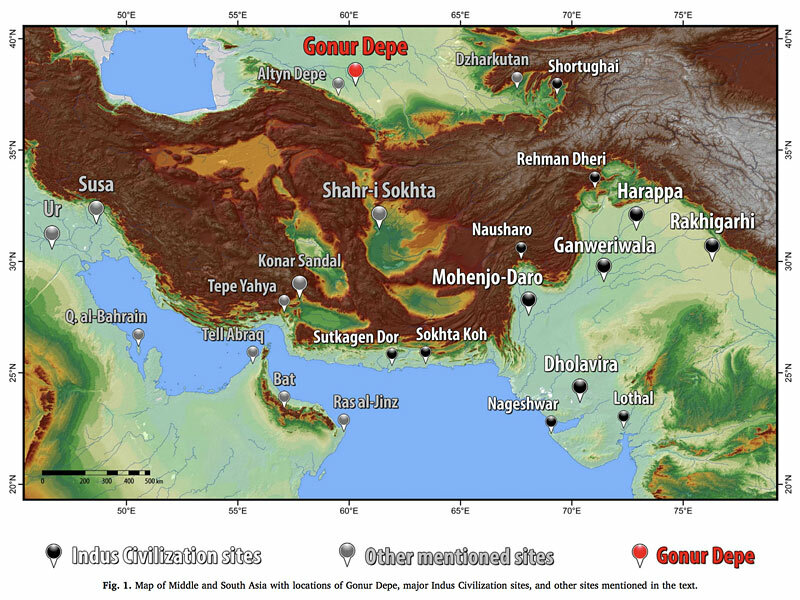 An exceptionally interesting paper that traces the path of ivory carving from the ancient Indus civilization up north to Gonur Depe in southern Turkmenistan, north of Afghanistan. It shows how complicated it is to ascribe provenance of things to a place, or to some other more complex, and revealing connections as Dennys Frenez's paper shows. 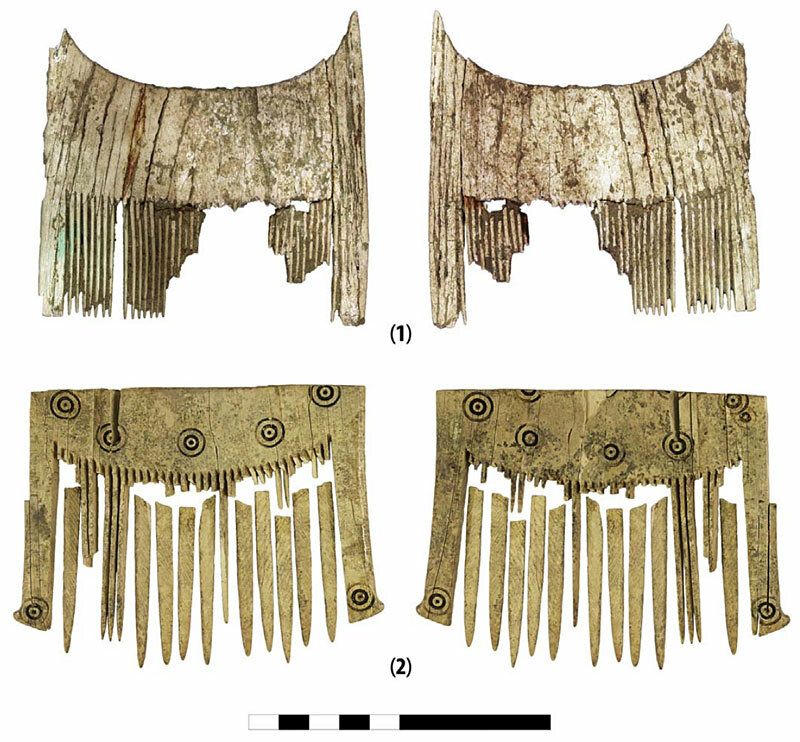 Clearly ivory made its was from Indian elephants to Central Asia, and there are some objects found at Gonur Depe like combs with Indus motifs that could have come from Harappa or Mohenjo-daro. But other ivories are more unique to that Oxus Civilization, or the so-called BMAC or Margiana culture that flourished in the region during the Bronze Age. Was it local craftsmen hired by elites? Was it traveling Indus ivory carvers? Frenez presents evidence on both sides of the issue. Frenez concludes that: "A few ivory objects may have occasionally arrived in Central Asia from the greater Indus Valley as finished items. However, considering the sources of elephant ivory available for Gonur Depe, the discovery on site of the large unworked section of an elephant tusk, and the evidence for reworking of ivory objects at Gonur Depe and possibly also at other sites in the Oxus basin, it seems more likely that tusks of male Asian elephants were traded to Central Asia, whole or in large sections, by merchants who might have provided also the skilled craftsmanship necessary to transform them into finished objects. The highly specialized skills and expertise required to carve ivory objects comparable to the ones found at Gonur Depe suggest that they were manufactured by local wood carvers or most likely by Indus-trained ivory carvers." The facts and correspondences along a wide area into Iran and Mesopotamia and the Gulf between game boards and seals and so many more items along the way are fascinating in their own right, and testify once again to the way ancient civilizations must have propped each other up through trade and exchange of beliefs and ideas and designs (the dot in circle again! ); it seems they flourished better together. 3. 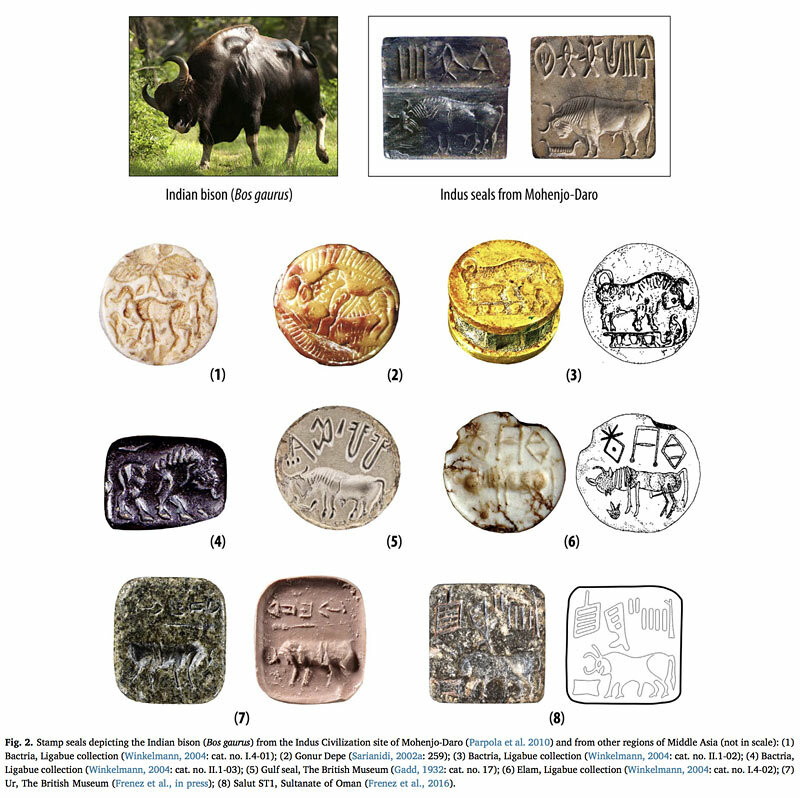 Stamp Seals depicting the Indian bison. 4. 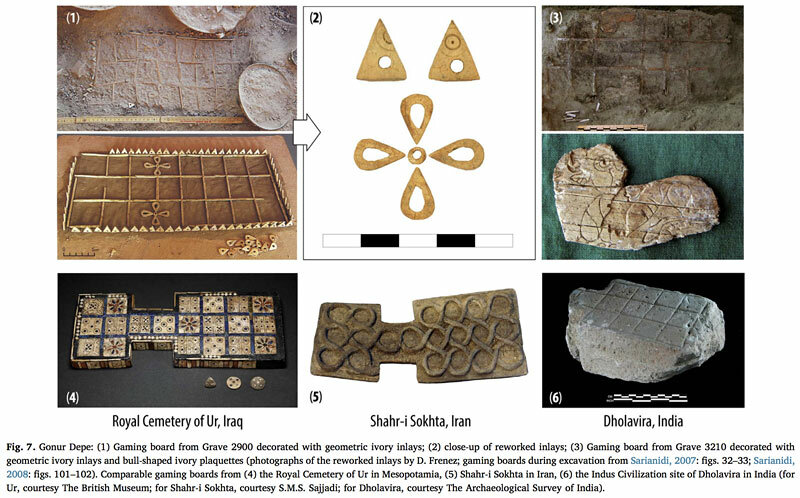 Gaming Boards from the Royal Cemetery of Ur, Shahr-i-Sokhta, Iran and Dholavira, India.